Growing up in southern California, a road trip to Las Vegas, Nevada, is something that almost everyone has done. While in college, I can’t tell you the number of times we were in a hurry to get to Vegas and drove straight through without stopping. As you get older, you realize flying is soooooo much better, right? Well, this time my cousin and I decided to turn this into a fun “primas” (insert translation……cousins), road trip. 1. First stop was Bottle Tree Ranch. Ever wonder where your wine bottles go after you drink them? Well, this man started a collection of trees and built a little museum of all kinds of glass bottles, The Bottle Tree Ranch. Its super cool for pictures and its a must see! Make sure you leave a tip if you visit! 2. On your way to the Bottle Tree Ranch is a super fun place called Oro Grande. 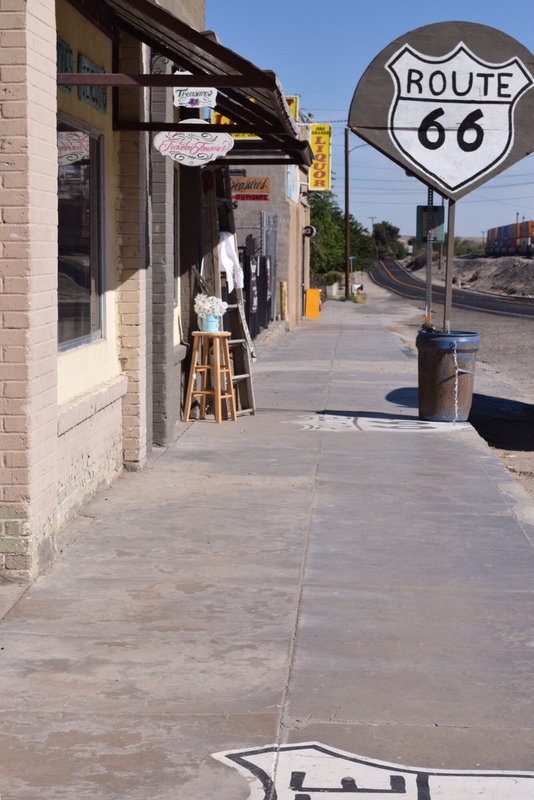 You will see this place on the left hand side on your way to The Bottle Tree Ranch located on route 66. This little place has a few shops and great photo opportunities! This place is so worth stopping! Seriously, I couldn't stop taking pictures! 3. Next, is a place where most Californian’s never stop, Calico Ghost Town. I'm sure most people have seen the sign that reads Calico, but never stopped to visit. Well this time, we did! 4. For sure this time, we were on our way to Vegas, until we saw this amazing colorful thing off the freeway that looked like a bouncy house, Seven Magic Mountains. These AMAZING sculptures are seven towers of colorful, stacked boulders standing more than thirty feet that were created by Ugo Rondinone. This sculpture was opened on May 11, 2016 and will be there for only two years. After two years, the rocks will be taken down. So go check it out before it gets taken down. Drive north on I-15 to Jean, NV (exit 12). Turn right (east) on NV-161 toward Las Vegas Blvd. Drive approximately 5 miles north on Las Vegas Blvd. and the artwork will appear on your right (east). Obviously the next stop was Vegas!!! Photography by me. Well, most of it! Other person behind the lens was my cousin. Thank you!